Mayocoba beans are an ivory-colored, medium size bean. They have a mild, somewhat buttery flavor. Their subtle flavor, combined with their ability to absorb accompanying flavors, makes them a desirable ingredient to soups and stews. Their creamy texture is one reason they are such a popular choice as refried beans. 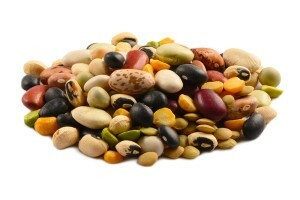 These beans are a great source of fiber and protein. Mayocoba is also known as Canario or Peruano.